A 48 Volt Battery consists of 24 x 2 Volt Battery cells, ranging in capacity and size from 150ah through to 1080ah for any Forklift Make and Model. CEIL is your local supplier for all 48 volt Batteries in any Electric Forklift, Pallet mover or Pallet Stacker. Ceil Power Systems provides a range of new and used 48-volt batteries. Our 48 volt forklift batteries are perfect for your large heavy lifters with excellent performance, durability and proven reliability on the job. All professional forklift business owners know that these powerful forklifts require plenty of power for their roles. Our 48 volt forklift batteries are designed to deliver all the power you need, when you need it. Ceil batteries are made for high performance and super-reliability in these important roles. Our batteries are ideal for the really demanding types of forklift work in any environment. Experienced operators will appreciate the power performance and great lifting capacity that our 48 volt batteries deliver. If you’re looking for better forklift batteries, just talk to our specialists. 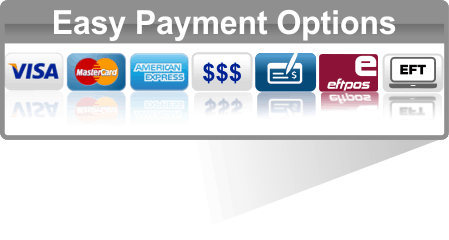 We’ll be happy to help with all your technical needs and give you a great deal, too. Ceil Power Systems does a lot more than sell forklift batteries. Our batteries are fully backed up by our expert forklift battery repair and maintenance services. We’re here to help whenever you need help with your batteries. Forget the downtime worries; we’ll have your batteries back in good working condition to save you time and money. We offer a great range of new generation modern battery chargers and accessories for forklift maintenance work onsite. Explore our range of different types of chargers and see what’s right for your batteries. Talk to our specialists about your needs and we’ll be happy to provide expert guidance in selecting your chargers and accessories. Need Some Help with Your 48 Volt Forklift Battery Options? 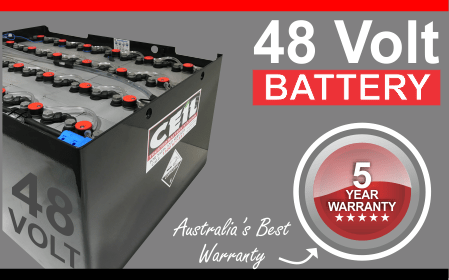 Whenever you need forklift batteries in New South Wales, Victoria and Queensland, Ceil Power Systems has it all for you. Call 1300 721 013 or contact us onlinefor any advice, practical support or guidance with product selection or onsite forklift battery needs.